The 1980 and 1981 Yellowbird was the last in line of the Specialty Firebirds. 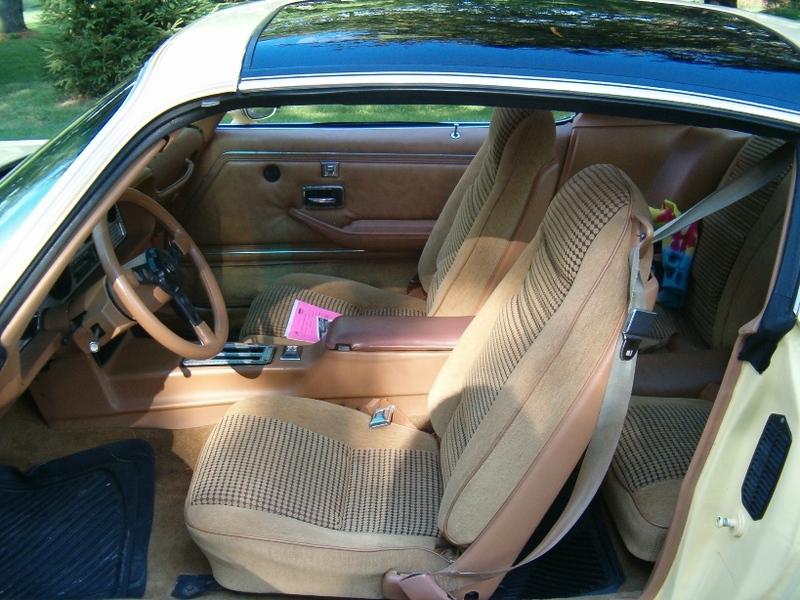 Much like it predecessors, it included matching color interiors with gold appointments. 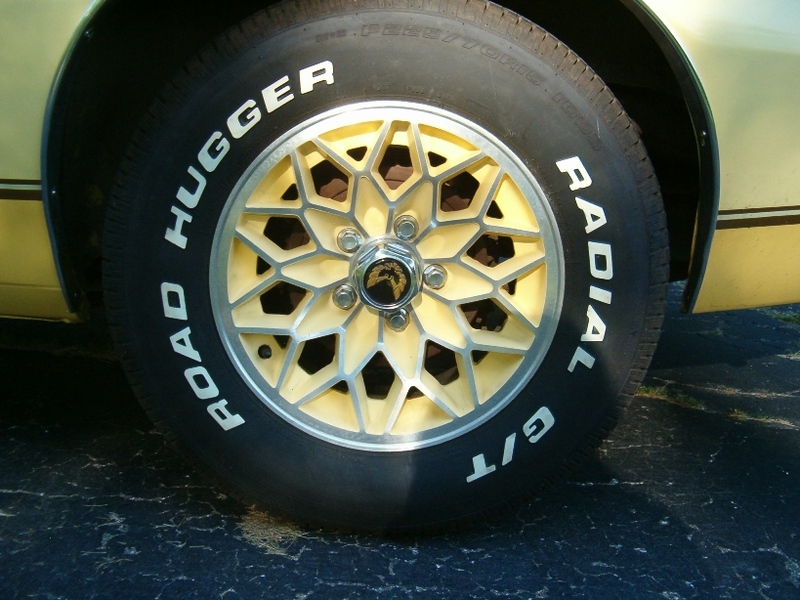 The Yellow colors of the body and rims were accented by gold stripes. This was the last of the special "bird" editions and still carried the exterior decals signifying the edition. 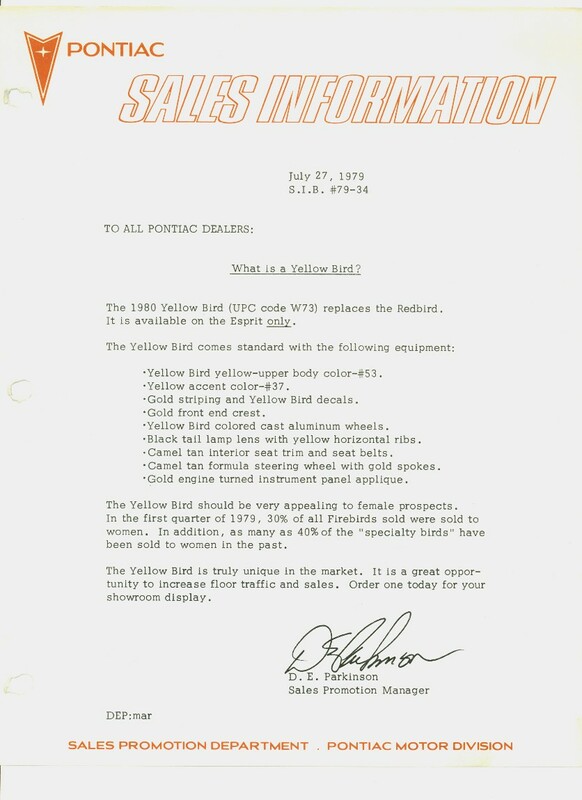 I have gathered some information about the YellowBird Edition Esprit that replaced the RedBird Edition from 1978 and 1979. 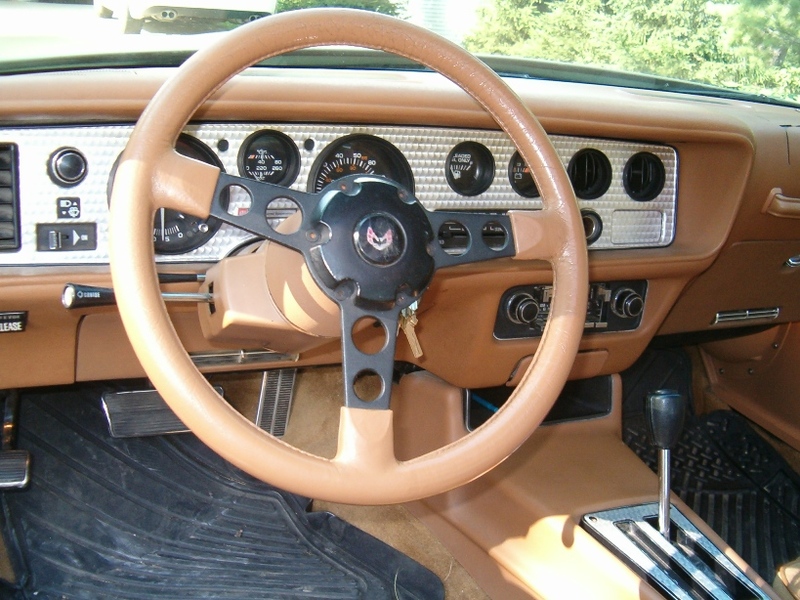 The YellowBird Edition Firebird Esprit (Code W73) was released in 1980 and was the last of three color schemes for the Esprit. 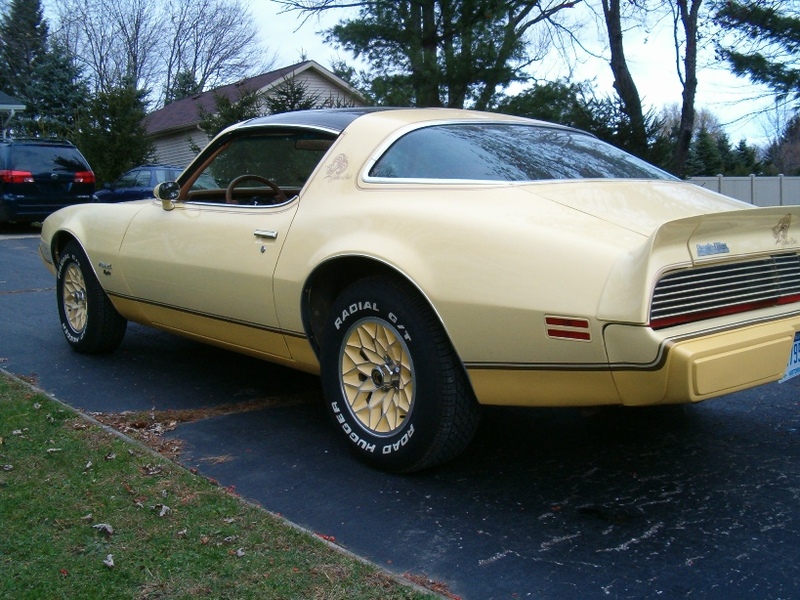 It replaced the RedBird Edition Firebird from 1978 and 1979. Unfortunately, there was any production numbers of how many of these cars were produced. 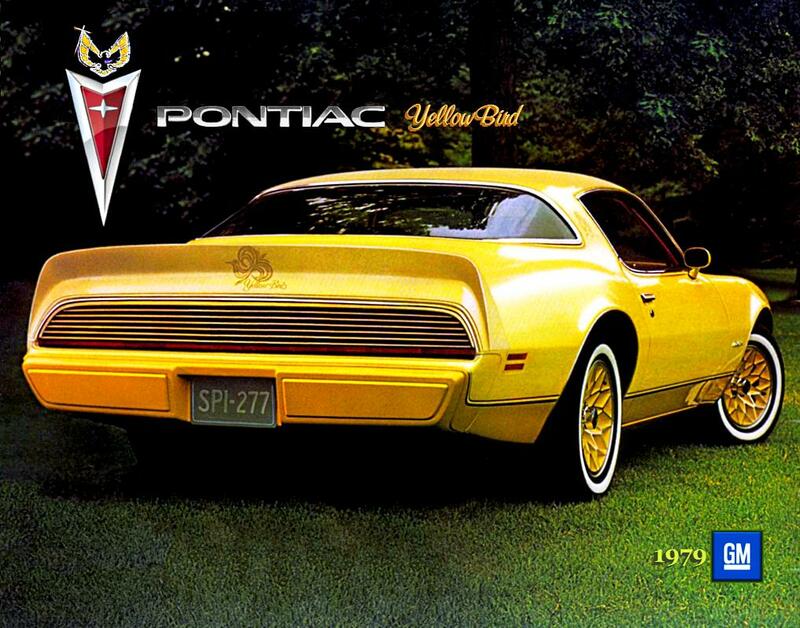 Pontiac had a hard time keeping track of cars in the late 70's let alone what color the cars were or even some of these Specialty cars. THE YELLOWBIRD SHOULD BE VERY APPEALING TO FEMALE PROSPECTS. 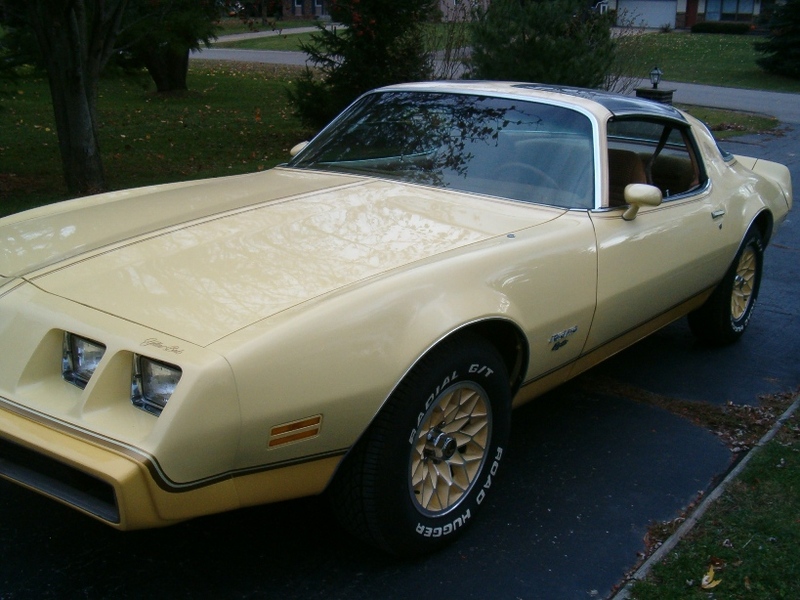 IN THE FIRST QUARTER OF 1978 30% OF ALL FIREBIRDS SOLD WERE SOLD TO WOMEN. IN ADDITION, AS MANY AS 40% OF THE "SPECIALTY BIRDS" HAVE BEEN SOLD TO WOMEN IN THE PAST. THE YELLOWBIRD IS TRULY UNIQUE IN THE MARKET. IT IS A GREAT OPPORTUNITY TO INCREASE FLOOR TRAFFIC AND SALES. ORDER ONE TODAY FOR YOUR SHOWROOM DISPLAY. 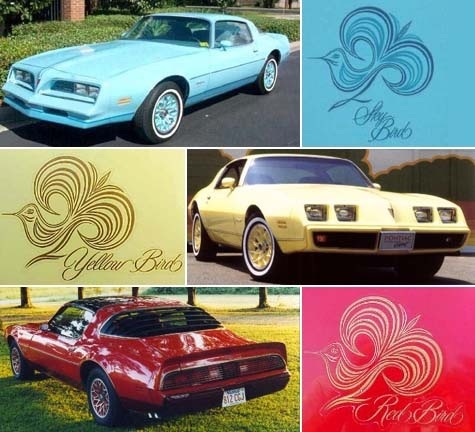 Here are some other links to check out featuring the 1980 Yellowbird Editions. 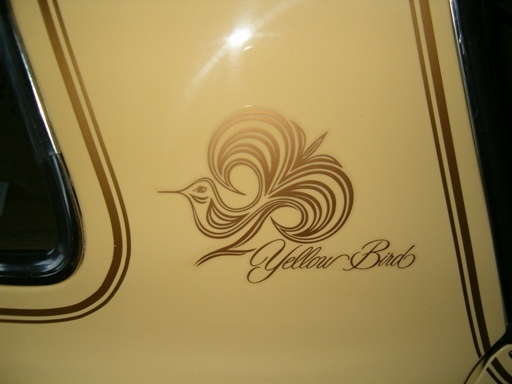 The yellowbird marked the end of the special luxury Firebird Esprits. It started with the Skybird, progressed to the Redbird and finally ended with the Yellowbird. I have searched high and low for any kind of production numbers for these cars through the years and have not been able to find any specific information with proof of how many of these cars were made. If you have any information or any kind of proof showing any production numbers on these cars from Pontiac, I would love to see it.